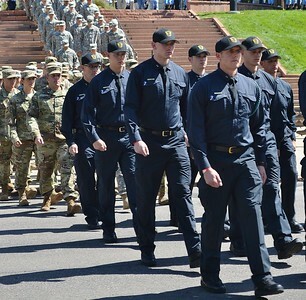 Commemoration of the 15th anniversary of the 9/11 attacks held in Denver, Co. Includes images of members of US military and Denver Police marching. 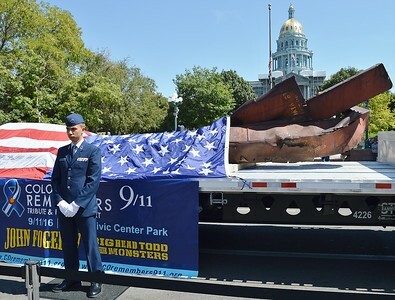 Member of US Air Force standing in front of 9/11 wreckage displayed on flatbed truck, American flag draped over wreckage, Colorado capitol building in the background. 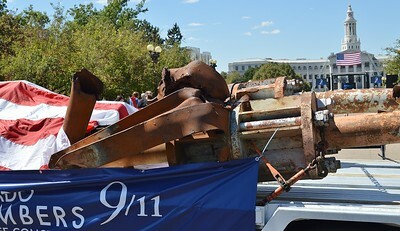 Member of US Air Force standing in front of 9/11 wreckage displayed on flatbed truck, American flag draped over wreckage. 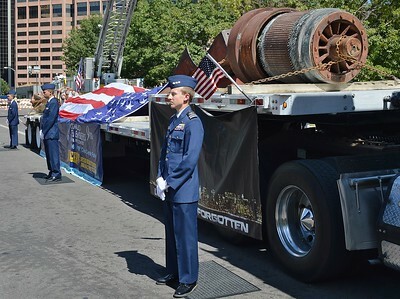 Members of US Air Force standing in front of 9/11 wreckage displayed on flatbed truck. 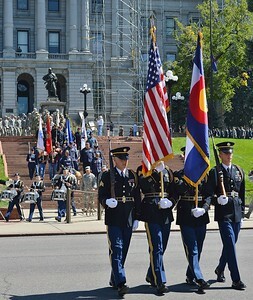 American flag draped over World Trade Center wreckage from 9/11 attack, Colorado capitol building in the background. 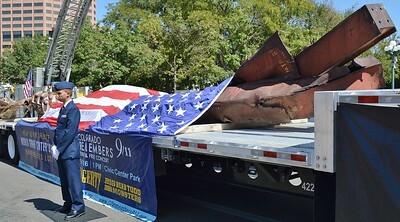 Wreckage from 9/11 World Trade Center attack on display at 15 Anniversary commemoration in Denver. 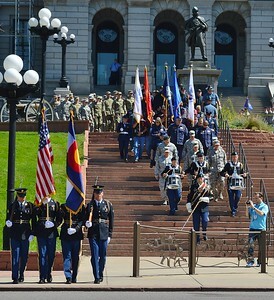 Members of US military marching down stairs at Colorado State Capitol building at 9/11 15th Anniversary commeroration. 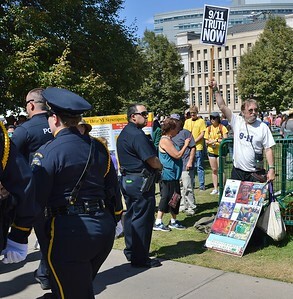 American flag draped over World Trade Center wreckage from 9/11 attack, Denver City/County Building building in the background. 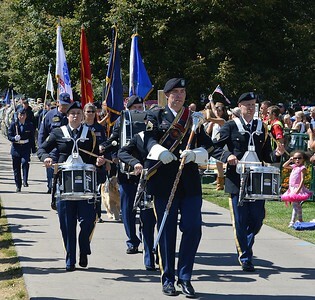 Military color guard leading march on 9/11 anniversary. 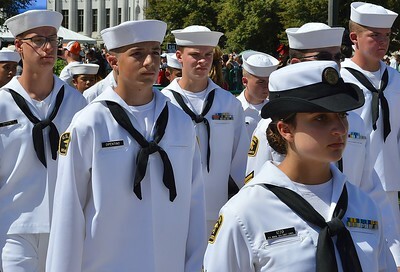 Members of US Naval Sea Cadet Corp march in 9/11 anniversary commemoration. 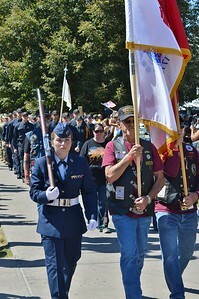 Young woman, member of Civil Air Patrol, marches in 9/11 anniversary commemoration. 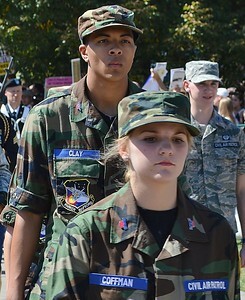 carrying a rifle, men carrying flags march beside her. 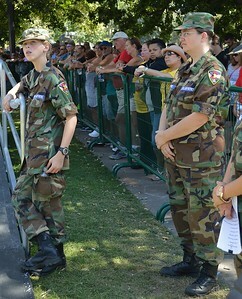 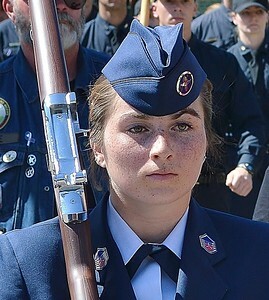 Close-up of young woman, member of Civil Air Patrol, marches in 9/11 anniversary commemoration. 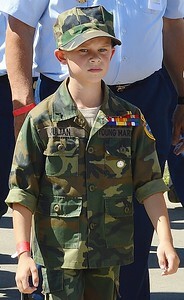 carrying a rifle. 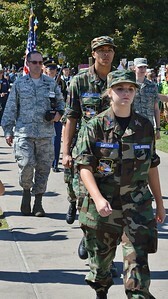 Young woman, member of the Civil Air Patrol, marches in a 9/11 anniversary commemoration. 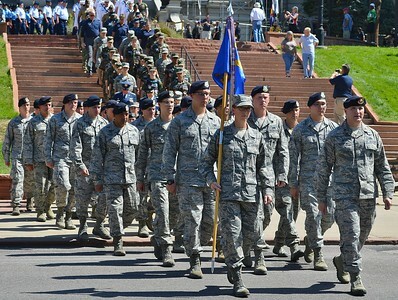 Members of US military marching down stairs at Colorado State Capitol building at 9/11 15th Anniversary commemoration. 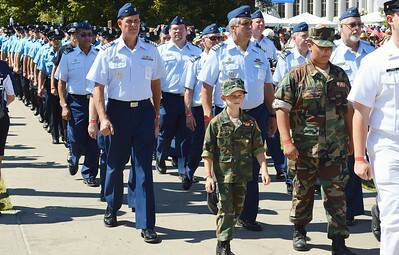 Members of US navy and other military marching in 9/11 anniversary commemoration in Denver. 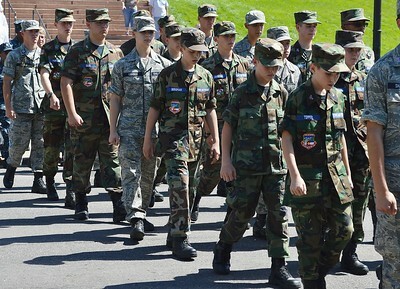 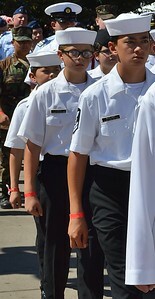 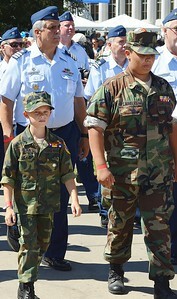 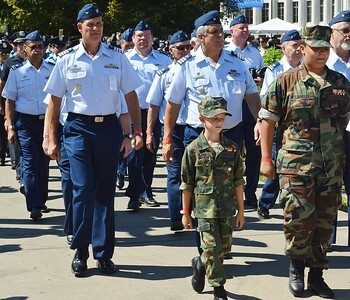 Young members of the Civil Air Patrol looking down at ground as they march in 9/11 anniversary commemoration in Denver. 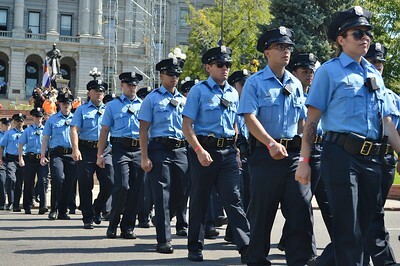 Denver Police officers march at 9/11 anniversary commemoration. 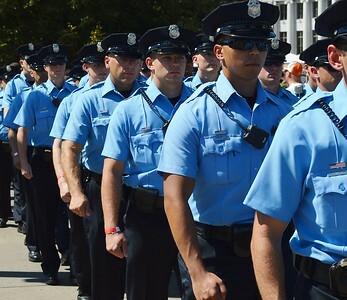 denver Police officers marching in 9/11 anniversary commemeration. 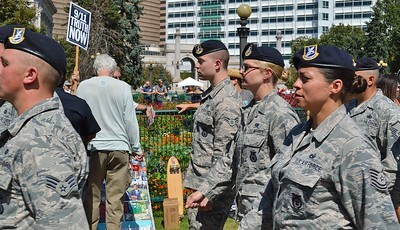 Members of US Air Force marching in 9/11 anniversary commemoration, man holding "9/11 Truth Now" sign in the background. 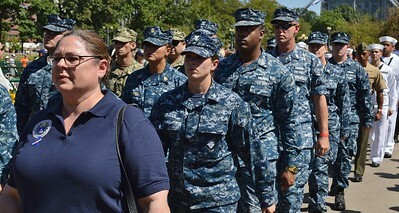 Members of US Navy march in 9/11 anniversary commemoration. 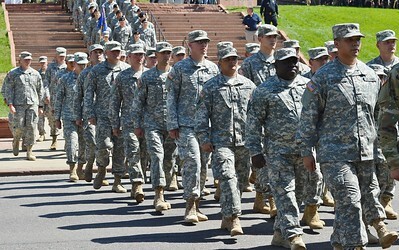 Members of US Navy wearing combat fatigues, march in 9/11 anniversary commemoration. 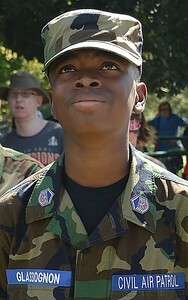 Young African-American man wearing Civil Air Patrol uniform looking up towards the sky, other CAP member behind him. 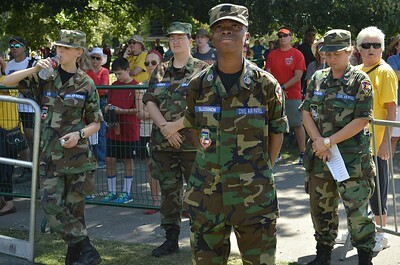 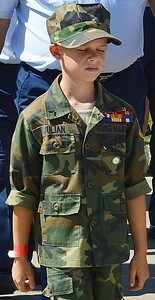 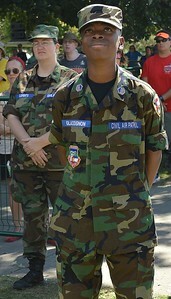 Young member of the Civil Air Patrol looking up at sky, other CAP member stands behind her. 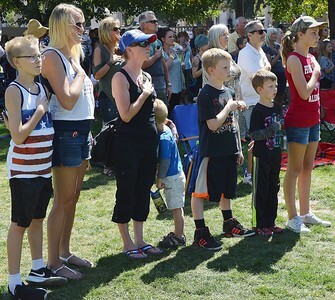 Group of children and mother holding hands over their hearts while national anthem is playing. 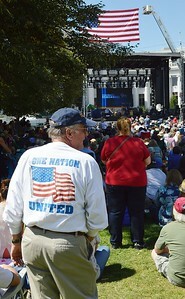 Man wearing shirt with American flag and slogan "One Nation United" at 9/11 anniversary commemoration, large crowd and stage with giant American flag hanging over it in the background. 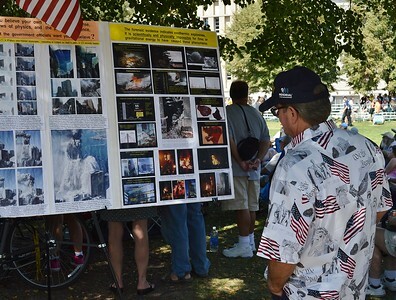 Man wearing shirt with American flags and slogan "We The People" on it and 9/11 Memorial hat, stands and looks at a display about 9/11 attack evidence. 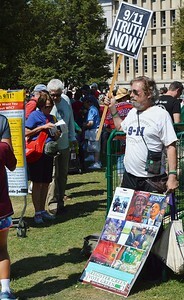 Man standing behind display about 9/11 attacks, holds up sign that says "9/11 Truth Now". 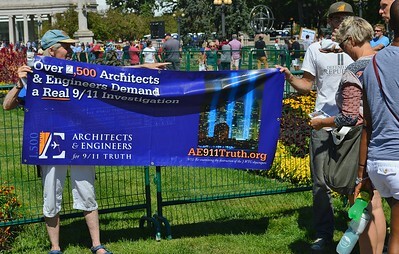 Two people hold up banner about architects & engineers calling for new 9/11 investigation at 9/11 anniversary commemoration in Denver.